Hi, friends...Are you enjoying the winter or are you thinking of spring? I have spring on my mind, but mother nature...thinks differently. 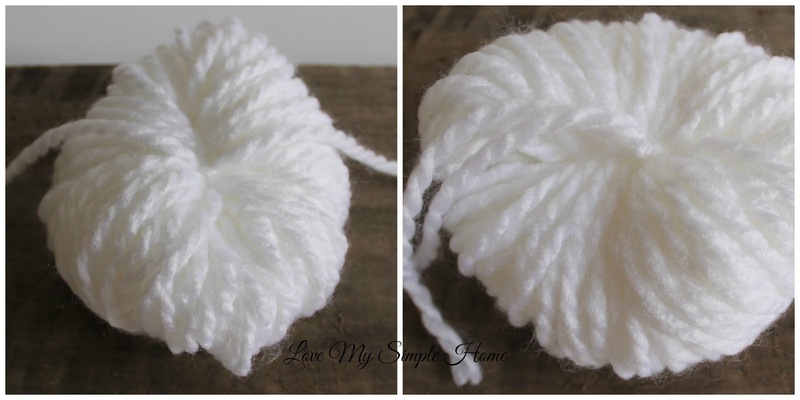 It's been snowing here for the past three days so I've been busy making snowballs...not the frosty kind but warm fuzzy snowballs made with yarn. Cut a strand of yarn about six to twelve inches long and lay it on a flat surface. Carefully slide the yarn from your hand and place it on top of the piece you previously cut. Don't worry you are heading in the right direction. 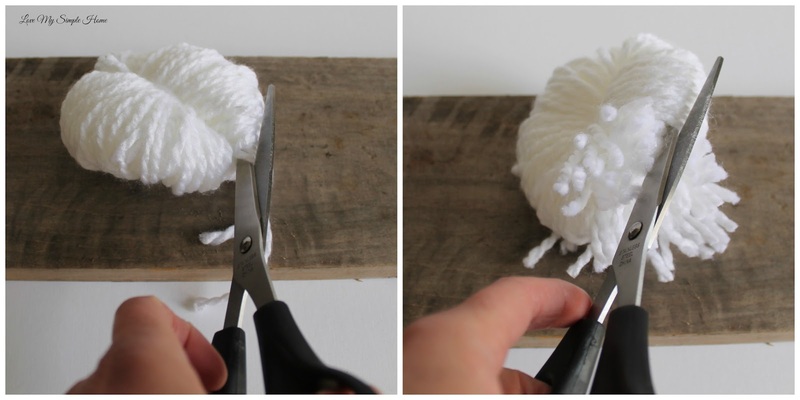 Hold your pom-pom in one hand and give it a good trim all around. Keep trimming until it is round like a ball. You can cut off the two long pieces of yarn or leave them intact. It all depends on how you want to use your pom-pom. For easy clean up use a Ziploc bag to store all the fuzzy clippings. The clippings can be used for stuffing for other craft projects. 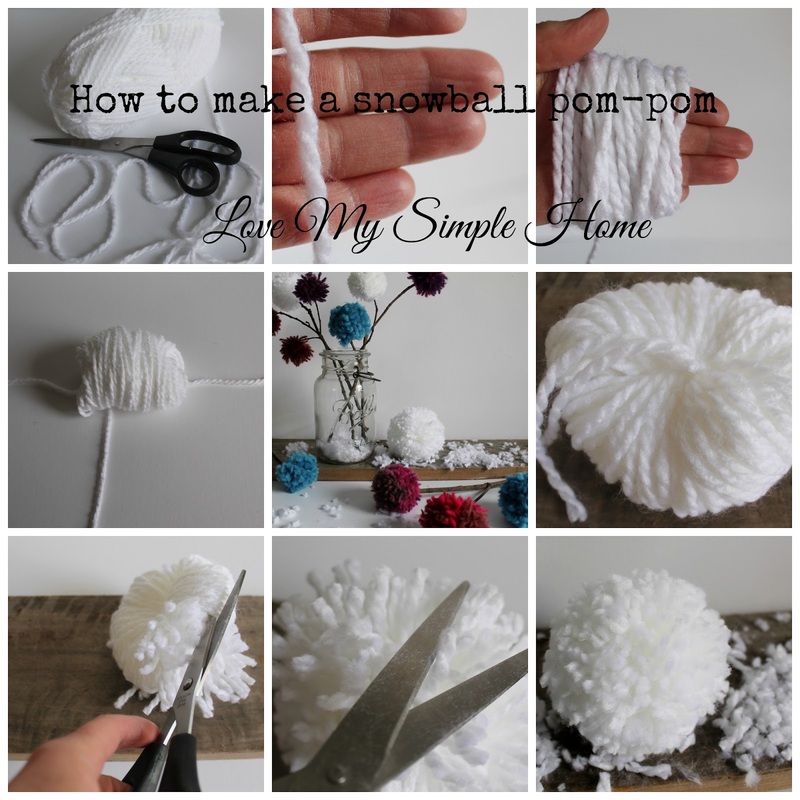 I love how cute these pom poms are! I use to make them years ago for random stuff... for tennis shoes etc. So fun! Thanks so much Gail for the visit and for pinning! !